It’s summer which means I take breathers every 5 minutes every time I pass a shady spot. It also means I get very hot doing nothing and it also means I like nothing more than eating my body weight in ice cream. Aside from all of this and for the purpose of this post I have incredibly pale skin and freckles. I make sure to wear factor 50 on my face every day (yes, if any skin care brand wants to sponsor me thanks to my clogged pores pls do), wearing factor 50 also means when I wear makeup in the summer my skin CANNOT breathe (along with me lol). I get spots, my skin is greasy and I just don’t like the feeling of getting all glammed up in the summer because if I’m not wearing makeup I’m not glammed up and if I am wearing makeup and not wearing sunscreen I become paranoid about skin cancer, freckles and damaging my skin. But, alas, I had a brainwave. Seventeen got in touch with me, along with some other bloggers (which makes me a non-special snowflake) and asked if I wanted to participate in a blogger relay. Passing the beauty baton onto bloggers as we go and as a wonderful idea crossed my mind I immediately told Alex from their PR team that yes, this pale gal would like to participate. I am also so excited because this will be the first time I have used most of these products so you and I can get a real feel for them. I decided on an article that incorporates all of the little bits that seventeen had sent me and made a pale girls guide to minimal summer makeup. 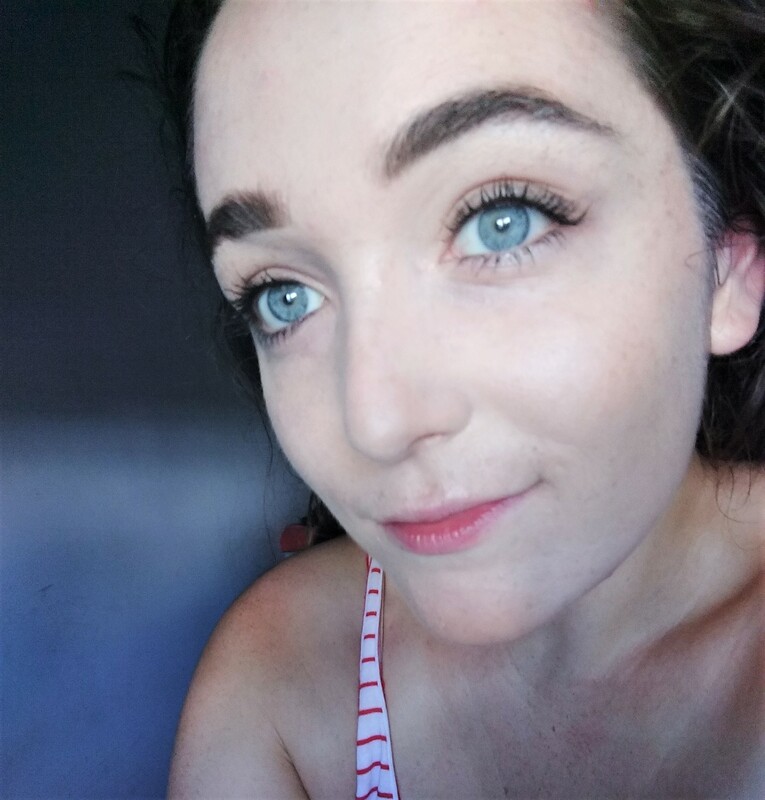 How little makeup can I put on to feel satisfied, for it to cover my freckles and look ‘barely there’? Before I did anything I applied my usual sunscreen and then moisturized but that’s boring so I went straight in for this 25-hour foundation (does this also mean I can sleep with it on and wake up and still have another 12 hours left? we will never know). I was a little sceptical as I remember my friend when I was younger wearing something like this and it being really thick and gloopy. I initially rubbed it into my boyfriend’s tattoo to see what it would do and although the colour was totally off, it made it almost invisible in pictures so with me and my freckles it was safe to say I was buzzing for this gem. I LOVED the coverage, I am not joking when I say if you have problem areas that you want to cover up it will do that for you. I recommend using a brush as it really is thick and quite cakey without it. I don’t think this foundation would be for everyone as it is quite thick and really full coverage but for me, it took away my freckles, redness and other bits I didn’t want to be shown on my face. Also, the colour ‘soft ivory’ was perfect for me and you can see just how pale I am. Next is time for concealer! I want this makeup look to look minimal but because the foundation is so full coverage I don’t think everyone would need concealer. 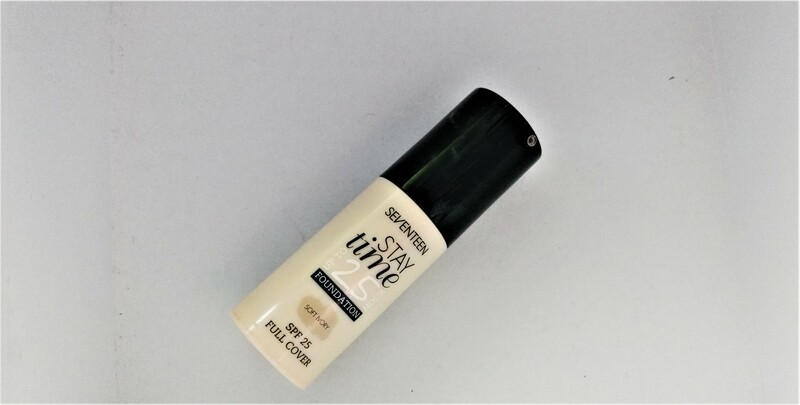 I love this concealer, I’ve been using it for ages. It’s really smooth, it doesn’t crease and it makes your under eyes look AMAZING. I blended it in using a concealer brush to just brighten up around my eyes, highlight my eyebrows and cover up any spots I had creeping up. Considering it’s summer an ‘all I thought it would be a good idea to add some highlighter to our minimal makeup look, highlighter I don’t think personally suits everyone. Sometimes I go OTT and end up looking v shiny and v not OK. This highlighter is a primer (not sure how well that would work! ), something to add to your foundation or as a little lift to your cheekbones, I used it on my cheekbones and it’s OK. That’s about it. It’s nice, it’s shiny, it has a really nice texture but I didn’t find it made me glow like some of the other ones I have used. Nonetheless, I added it to my minimal makeup look and proceeded with my eyes. Next, we have the eyeshadow for this minimal look, this is the birthday suit palette. I am not ‘too’ into eyeshadow palettes, I always find myself using the same kind of colours. But I want to be glam minimal so I used the three colours indicated below. I found they were really pigmented once applied and really worked and blended nicely together. Not too minimal where they are invisible but not too glam that I couldn’t wear them to the beach. I wanted to avoid eyeliner for this look, I feel like if I found myself then going out in the evening I could slide some on but this is more of a minimal daytime look and a good coating of mascara would suffice. This is the ‘long lasting’ mascara that lengthens and ‘lasts’. I love the brush, although I prefer fat brush heads this one did coat every single individual lash and was ideal for having a big impact with my eyeshadow. Finally, to add a little bit of colour to my face I used the Seventeen contour kit. I wasn’t overly impressed by the highlighting shade but the darker colour worked really well with my pale skin and I felt it really brought this minimal look together. I am so pleased with the finished look. The full coverage foundation, the mascara that takes your eyelashes from zero to hero, the concealer that made me look wide awake. I am so impressed by me not looking orange or cakey, considering how thick the foundation actually is. If you’re pale these colours WORK. I feel like I could literally whip on some red lippy and a little eyeliner and be dressed for a night out. It’s a super versatile look that I am so happy with as a pale gal that usually looks too orange, too pale or somewhere floating in-between depending on my sweat levels. Thank you so much again to Alex from Seventeen for sending me these products. I had a blast creating this minimal look. I am also handing the beauty baton over to Daisy and I can’t wait to see her finished article!